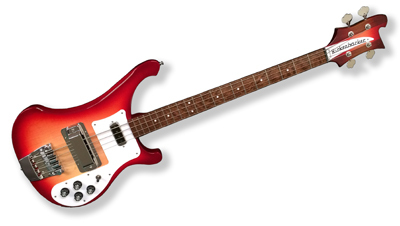 This traditional Rickenbacker bass style with dot inlays and no binding was prized by Paul McCartney and Chris Squire when they got their first 4001S models in 1964. Players cherish its traditional look and rounded edges that many claim make it more comfortable than the 4003. The updated 4003S version comes with the improved dual truss rod system. Of course, the famous solid bass tones, ringing sustain and treble punch we’re known for make it a dream. It’s no wonder we’ve received a steady demand of requests to bring this back. This design was once exclusive to the British distributor Rose Morris in the six-ties. Iconic curves of maple form the body with a traditional Rosewood fingerboard. Dot inlays and no binding make this stand out from the standard 4003.